G96 Synthetic CLP Gun Oil has been approved by the U.S. Army for the 21st Century – Mil Spec MIL-PRF-63460F (Type A). Click here to see our approval letter. Click here to see the CLP Qualification Update Letter. Please visit the FAQ section for additional information. Available in .5 fl. oz. bottle with twist cap and 4 fl. oz. bottle with twist cap. Preservative: Unique combination of additives protect and bond to metal yet it is safer for the environment than most other additives. If necessary, clean firearm first using G96 Bore Solvent or G96 Crud Buster. 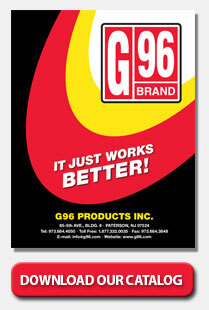 Apply G96 Synthetic CLP Gun Oil to bore, barrel actions, slide rails, trigger assemblies and all moving metal surfaces. Dampen cloth with G96 Synthetic Gun Oil and wipe down leaving a protective coating. Please refer to your firearm’s owners manual if necessary. Please refer to the FAQ section for additional information.